Tucked away in a rather warm room in Union Hall on Main Street sits a broadcast board dating back to 1987. It once belonged to KUFM in Missoula before the station donated it to KBGA. Now it belongs to Missoula Community Radio, soon to be known by its call sign KFGM-LP, or 105.5 FM if you prefer. Over the past two years, members of Missoula Community Radio have raised around $15,000 from local resources to launch the low-power station, which will appear at the upper end of your radio dial – so long as you still have a dial. 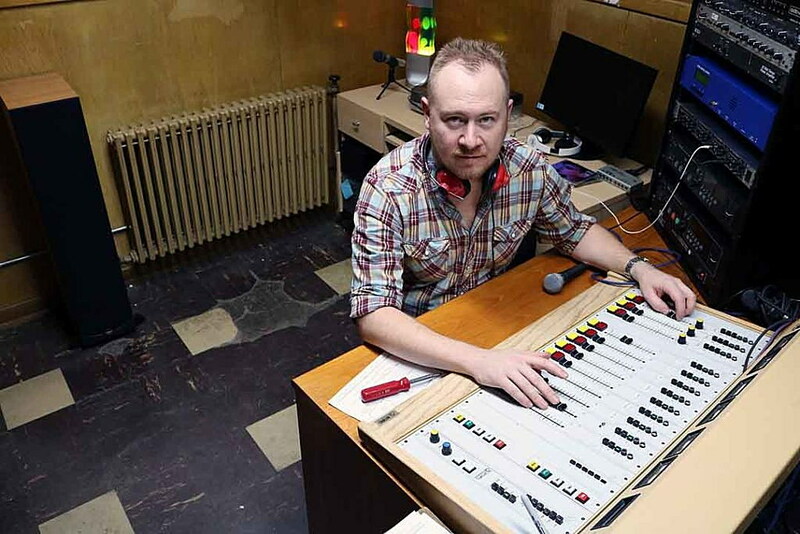 When the station goes live at 10:55 a.m. on New Year’s Day, listeners across a three-mile radius might tune in to any number of programs, from punk and metal music, or activities like yoga and foreign language. The grass-roots programming offered up by community volunteers plays to a wide array of interests, much of it left to the discretion of the volunteer DJs. For Van Dyke, who helped start a bilingual radio program in Japan to highlight local artists, those interests now lie with local government. He believes a community broadcast on hot-button issues facing the Missoula City Council will gain a dedicated audience, resulting in a more informed population. That’s a common theme at some City Council meetings, which has handled a number of controversial issues over the past year, from background checks on gun sales and purchases, to the latest debate on whether to reduce Fifth and Sixth streets to a single lane of traffic. While the controversy is nothing a robust community discussion can’t sort through, taking it to the airwaves on a nonprofit station might bring a new twist to exchanging opinions and perspectives. While the station doesn’t face many staffing expenses, it still faces licensing costs. The second-hand equipment was passed down from KBGA, which received it from KUFM, Montana Public Radio. The transmitter was donated by the Confederated Salish and Kootenai Tribes. To fund the station into the future, Van Dyke said it will apply for grants and pursue underwriting opportunities. The radio booth at Union Hall is rather spartan, though it’s likely to undergo a transformation as the station finds its footing. It has already purchased ENDEC – an alerting system required by the Federal Communications Commission. 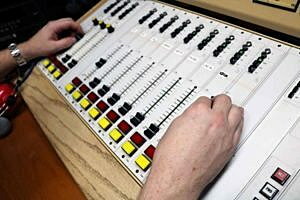 Like much of the other equipment, the amplifier, limiter, mic-amp and CD player were acquired second hand, though they work fine and represent the determination of the station’s board to hit the airwaves. The station was founded by a board of directors headed by Ann Szalda-Petree, who believes in the “transformative power of radio.” She has helped similar stations launch in Butte and Hot Springs.